Celebrating the quality and diversity of artisan cheeses produced in California through partnerships, outreach and education. We credit Clark Wolf, a renowned food consultant and former Bay Area cheese professional, with developing the original idea for a California cheesemaker’s guild. He realized there needed to be an organization that represented the plethora of cheesemakers across the state. It was 2006 when he reserved a URL (cacheeseguild.org) and gathered the forces of several local visionaries including Jennifer Bice, Jill Basch, Lynne Devereux, Juliana Uruburu and Laura Martinez. The group created bylaws, a website, and started soliciting memberships. Non-profit status came in 2008. John Mackey provided enormous support as a pro bono attorney. Maureen Cunnie provided enormous support in getting cheesemaker education off the ground in partnership with College of Marin. As we celebrate more than a decade of service to California’s artisan cheese community, our Guild has blossomed into the foremost cheese organization in the State. 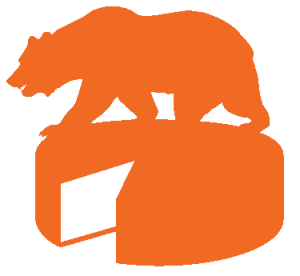 Our hundreds of members represent the breadth of California from northern coastal counties to the southern border, from the Central Coast to the San Joaquin Valley. We form a collaborative community of makers, mongers, distributors, food writers, and food safety experts. Our cheeses are sold across the State and beyond. We host and participate in dozens of events and educational forums each year. Anthea began working with cheese at Zingerman’s Delicatessen in Ann Arbor, MI, after graduating from college with degrees in Economics and French Literature. It became clear that she preferred Beaufort to Baudelaire, and what she thought would be a summer job behind the cheese counter turned into three years of eye-opening learning and tasting. She moved to San Francisco in 2007 and worked at The Pasta Shop in Oakland, CA, before moving on to manage the cheese program for the Bi-Rite Family of Businesses. She has worked with the California Artisan Cheese Guild since 2015. 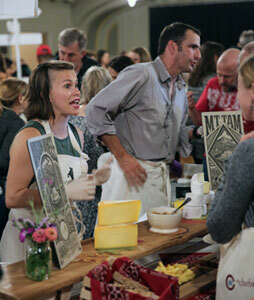 Christian is the Dairy Buyer at Amy’s Kitchen, co-owner of Folly Cheese Co., and a part-time farmer. He has worked in cheese since 2011 beside his wife Ashley, who is the head cheesemaker at Tomales Farmstead Creamery. Christian’s background spans a cross-section of the dairy industry from cheese production and science to food safety, compliance, labeling, supply chain, logistics and warehousing as well as Organic and Animal Welfare standards. Felice is the National Sales Director for Point Reyes Farmstead Cheese Co. where she leads continuing national expansion as well as new product launch. Prior to joining the cheese industry, she was the Director of Sales and Marketing for a California olive oil company and Director of New Business for a California organic grains supplier. She was raised in Bolinas on 50 acres and has strong roots in California agriculture. Born and raised on the northern Sonoma Coast, Brittany has always been surrounded by food production. Her experiences raising livestock to feed her family, picking apples in her neighbor’s orchard, and tasting the freshest of fresh chèvres from a friend’s dairy goats nurtured her passion for the artisan food industry. Brittany has traveled the globe and worked as a pastry chef, bartender, and cheesemonger. She is currently the director of operations at the Palace Market in Point Reyes Station, where she oversees the cheese, wine, and specialty departments. Born and raised in the Wasatch Mountains of Northern Utah, Tim studied at Oregon State University and received his BS in Finance from the David Eccles school of business at the University of Utah. Pre-cheese, Tim spent 15 years in the accounting, finance, and custom software development world. He is a foodie, which led to the creation of Beehive Cheese Company in 2005 with his brother-in-law, Pat Ford. Tim has three boys – Britton, Hayden and Cole, who all currently work at Beehive Cheese. He enjoys music, travel, cooking and supporting his community. Sue’s love of food and community started early and came west with her in 1976 when she moved to San Francisco. She made her mark in a number of renowned Bay Area kitchens before opening Bette’s Oceanview Diner where she served delicious everyday meals to an eclectic mix of Berkeley students, workers, and neighbors. After 11 years at Bette’s, Sue sought a quieter pace and sold her shares in Bette’s. She moved to Point Reyes Station, CA, where, along with her friend Peggy Smith, she co-founded Cowgirl Creamery in 1997. Over 20 years later, Cowgirl Creamery has won dozens of awards and grown to operate two creameries and four retail stores. 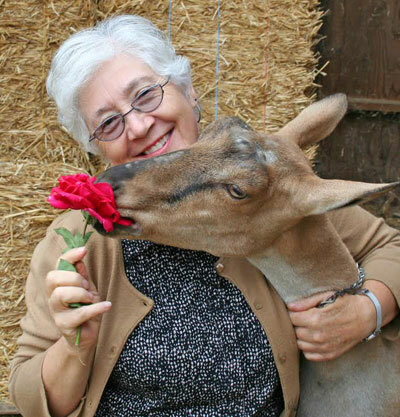 Sue remains a tireless champion of West Marin’s organic dairy and farming community. Jennifer is the Director of Communications for the California Milk Advisory Board, where she manages an integrated public relations program supporting all CMAB initiatives in the U.S. and overseas. She joined the CMAB in 2009 from the PR agency side of the business, where she conducted consumer marketing communications programs for national and international food and beverage companies. She is a former president of the San Francisco Chapter of the Public Relations Society of America (PRSA) and has been active on the board of the International Association of Business Communicators’ (SF/IABC) San Francisco Chapter. Rick Lafranchi, Nicasio Valley Cheese Co.
Second oldest of six siblings, is in charge of sales and marketing for the Nicasio Valley Cheese Company. “When we first got idea and started thinking about making cheese,” says Rick, “Bob Giacomini (a local dairy farmer) told us he thought cheese could be to West Marin what wine is to the Napa Valley.” Rick adds “this region is regarded as having some of the richest pasturelands in the world. Conventional milk production isn’t as viable an option in Marin as organic is because it’s all pasture-based. That went hand-in-hand with us developing an organic cheese company. I started working with cheese in 2014 when I landed an apprenticeship at Appleton Creamery in ME. I fell in love with small scale farmstead cheesemaking, and especially goats, and have consistently stayed in the industry since then. Most of my work has been as a cheesemaker with a brief stint as a cheese monger. I moved to Sonoma County in 2016 to make cheese at Redwood Hill.  I have since become one of the cheese makers at Tomales Farmstead Creamery in Tomales, CA where I am happy to be back with the goats and making small scale artisan cheese. Emily’s first career was as a newspaper reporter, and when it became time to move on she knew her next career would be in food. She started working as a cheesemonger at Formaggio Kitchen in Cambridge, MA, and eventually became a buyer and education coordinator for the store. In 2011, she moved to Northern California, where she has broadened her knowledge of cheese, distribution, and local producers in the wholesale office at Tomales Bay Foods. Emily is chair emeritus of the Good Food Awards cheese committee. She is an ACS Certified Cheese Professional and the 2014 recipient of the Daphne Zepos Teaching Award. Anastasia is the Cheesemaker for Stuyt Dairy Farmstead Cheese Co. which is located in the small town of Escalon, California. Anastasia has worked there since her parents started the company in 2015. Her father taught her the art of cheese making. Not only is Anastasia the cheesemaker, but she also cares for the cheese throughout its aging process, is a certified lab technician and wrote their Food Safety Plan.